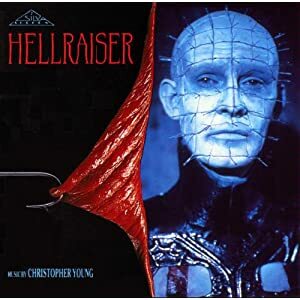 This Christopher Young score is a classic in horror. I consider it a staple alongside The Shining soundtrack for any horror game. Back in the day we used to just put this on repeat for any creepy game. Right away from the opening track we are brought into a workd of something truely dark, evil, and powerful. There are a couple of tracks which imply action as opposed to the “waiting” feeling of the other tracks. They are Track 6 “Quick Death” and especially track 7 “Seduction and Pursuit”. The use of sound imagery, such as music boxes and odd noises that are almost whisper-like, really put the listener in a hellish soundscape, such as on track 9 “Cenobites”.